Play these Flash or HTML5 based online slot machine games provided by Novomatic at Top Free Slots. No download required to play the games - just click on the image and wait for the game to be loaded in your browser window. You can play all these Novomatic Slots for free or try your luck for real money at sponsored online casinos. You can play classic slots or 5 reel video slots with multiple lines of payout, exciting bonus features, and wild and scatter symbols to increase your winning potential. rr It's a Real Money Safari! The beautiful and mysterious world of African nature has inspired the developers at Novomatic software to create a thrilling and adventurous Safari Heat slot machine. As can be seen from its name, the..
Panther Moon is a 9 payline online slot machine from Novomatic. rr Uncover the nighttime mysteries A beautiful and intriguingly named Panther Moon slot machine from Novomatic software invites the.. This is a new 10 payline slot machine developed by Novomatic. rr The Book of Ra 6 slot machine game provided by Novomatic is an expansion of the previous version of the same-called name. 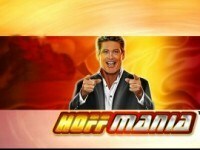 If you enjoyed..
Hoffmania is a new 243 ways to win slot machine game created by Novomatic. rr The free slotÂ HoffmaniaÂ is straight up, straightforward 5-reel all play free online pokie machine powered by Novomatic. Not taking.. This is a 9 payline online slot machine from Novomatic. rr The best fortune lives here If you haven't done this before, make sure you try the Lucky Lady's Charm slot machine as soon as possible -..
Armadillo Artie: Dash for Cash is a new 25 payline slot machine developed by Novomatic. 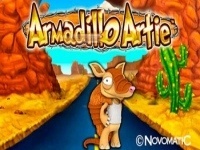 Everything is big in Texas including wins when you play the Armadillo Artie: Dash for Cash slot machine by Novomatic. Welcome to the wild.. This is a 9 payline slot machine game created by Novomatic. 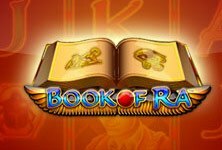 rr Mysterious challenges await Book of Ra is by far the most popular Novomatic slot machine, which has received thousands of great players'..
Buffalo Thunder is a new 40 payline online slot machine from Novomatic. 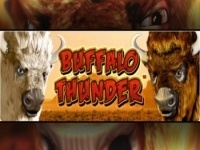 "Oh give me a home, where the Buffalo roam", and you`ll feel right at home in the Buffalo Thunder slot machine. This incredible.. This is a new 10 payline slot machine developed by Novomatic. 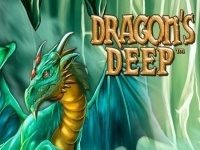 The famous story of Cinderella tells the rags to riches story of a young girl who wanting to go to the ball to meet the Prince as he chose..
Dragons Deep is a new 25 payline slot machine game created by Novomatic. Engage in an epic battle between the mighty vikings and majestic dragons as they tussle for the hidden treasure in Dragon`s Deep slot.. There is all kinds of juicy fruits that can go splash in this online slot machine with 5 reels and 20 winning lines. Top game jackpot is 2,000x your line bet. African Simba is a new 243 ways to win slot machine developed by Novomatic. rr African Simba casino slot game for free, no download is required and it also is a work of Novomatic and belongs to the classic slot.. This is a 10 payline slot machine game created by Novomatic. 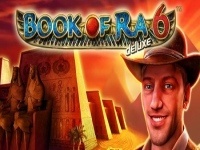 rr With an extra paying line and re-designed and updated visual appearance, the Book of Ra Deluxe slot is an online available for free play..
rr Mazooma invites you to the depths of Atlantis, to discover long-lost riches. The slot machine is a classic game with simple rules and an easy-to-understand interface. It contains crazy multipliers (It is possible to.. This is a new 40 payline slot machine developed by Novomatic. rr You will notice that most video slots use cartoon animal characters as part of the main story plot, and so does this one. Are you..
Cirque du Cheval is a new 40 payline slot machine game created by Novomatic. One of the most famous and beloved rides at the circus was the carousel or merry-go-round. The 5-reel 40-payline Cirque du Cheval slot.. This is a new 20 payline online slot machine from Novomatic. Dragon`s and Asian-themed slots are spreading like wild fire, and that is certainly the case in the fiery 5-reel 20-payline Dragon`s Wild.. 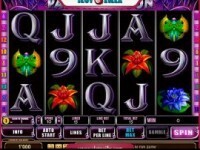 Fruits n Royals is a new 10 payline slot machine developed by Novomatic. The fruitiest Royal family is ready present the crown jewels to one lucky player in the timeless 10-payline Fruits` n Royals slot machine.. This is a 5 payline slot machine game created by Novomatic. rr Prepare to Spin! Gemstone, powered by the award-winning software – Playtech, is a remarkably simple and elegantly designed wheel..
Gorilla is a new 50 payline online slot machine from Novomatic. rr Released in 2015, it is one of the most interesting Novomatic-powered video games as it brings the intriguing African theme in.. This is a new 40 payline slot machine developed by Novomatic. rr If you have a special interest in the art of being an equestrian, then it's time for you toÂ play Hold Your Horses free slot. This..
Orca is a new 50 payline slot machine game created by Novomatic. rr There's some trend lately involving releasing lots of games with sea and underwater themes. Novomatic didn’t want to fall out of.. This is a new 20 payline online slot machine from Novomatic. Ever wonder what kind of science is behind the magic of slot machines? Get ready to explore the science at play in the awesome 20-payline.. Angry Birds is a 1 payline slot machine developed by Novomatic. rr If you are looking for a simple gameplay, we guarantee you will not find a simpler one than this world-renowned gamble that has many.. This is a new 20 payline slot machine game created by Novomatic. One kiss from the Frog Prince is all you need to change your fortunes forever! Have your chance to live the life of royalty in Frog`s Fairy..
Party Games Slotto is a new 20 payline online slot machine from Novomatic. When all you want is an old school slot with party-sized wins, Party Games Slotto slot by Novomatic has got you covered! This fun 5-reel.. This is a new 20 payline slot machine developed by Novomatic. rr This is a Novomatic's 5 reel,Â 3 rowÂ video slot with 20 lines that can be shifted. One can play Mayan Moons free slot online in a.. Mighty Trident is a 20 payline slot machine game created by Novomatic. rr This is a Mazooma creation, a subsidiary of Novomatic Group Company. With 20 pay lines and 5 reels, you can experience the adventure.. This is a new 40 payline online slot machine from Novomatic. rr The gamble tastefully represents the European flavor by the famous gaming company Novomatic. There are very few internationally popular..
River Queen is a new 50 payline slot machine developed by Novomatic. rr This new video slot by Novomatic brings you to North America at a time when large bison herds crossed railway tracks. The background..
rr Rumble in the Jungle slot machine game, developed by Mazooma, consist of 5 reels and 20 paylines. There are several similar games created by Mazooma, such as King of the Pride or Monkey's Millions, and each of them..
Sizzling Hot is a 9 payline online slot machine from Novomatic. rr Feeling chilly? If you need a bit of heat and spice in your life, you've definitely made a right choice, because playing the Sizzling.. This is a 5 payline slot machine developed by Novomatic. rr Online Xtra Hot slot machine is one of the classic works of Novomatic and belongs to the fruit slot machines category which can be..
4 King Cash is a new 20 payline slot machine game created by Novomatic. rr In the casino world, full of considerable amount of lookalike slots, it can be said that 4 King Cash slot machine game with its old.. This is a 20 payline online slot machine from Novomatic. rr Released in 2014, the gamble is a no-nonsense retro online casino that enables you to win over 40,000,000 coins. Each prize can be..
Roaring Forties is a 40 payline slot machine developed by Novomatic. rr Online Roaring Forties is a video slot machine game provided for free play that can easily be categorized as a classic or a fruit slot.. This is a new 20 payline slot machine game created by Novomatic. rr The machine is a space-themed adventurous gamble that gives the player a chance to view the beauty of the starring sky while winning..
Fruit Farm is a new 10 payline online slot machine from Novomatic. rr The Fruit Farm slotmachine game is inspired by animals and fruit. Therefore, every single icon is marked with them – pigs, cows.. This is a new 10 payline slot machine developed by Novomatic. rr Do you remember the popular same-named computer entertainment, where you shoot at flying moorhens? This computer game is an absolute..
Clockwork Oranges is a 20 payline slot machine game created by Novomatic. rr If you are fond of playing gambles packed with fun and entertainment, then you shouldÂ play Clockwork Oranges slot machine for free. You..
rr TheÂ Little Devil slotmachineÂ is one of the games with a hell and demon theme. If you do not want to be a divine being all the time, then you would enjoy playing. Like any other having this theme, you will be..
Rainbow King is a 20 payline slot machine developed by Novomatic. rr If you remember the Reel King by Novomatic, say hello to its sequel: free online Rainbow King slot machine. It comes with 3 exciting.. This is a 20 payline slot machine game created by Novomatic. rr It's time to answer the age-old question: Is there a pot of gold at the end of the bow? To find out, you have toÂ play Rainbow Reels..
Reel King is a 20 payline online slot machine from Novomatic. rr Have you ever wanted to become a king or queen? This amazing wheel of fortune gives you such a possibility. Indeed, at Reel King slot.. This is a new 25 payline slot machine developed by Novomatic. rr Aztec Power is a slot machine developed by the Novomatic software supplier. It features 5 reels and 25 non-changeable win lines with the..
Bella Donna is a new 25 payline slot machine game created by Novomatic. rr Bella Donna is a Renaissance-themed slot machine by Novomatic. It comes with standard features we are used to seeing in video slots and.. This is a new 20 payline online slot machine from Novomatic. rr If you're looking to get away to paradise and take a nice, long vacation, then get yourself in relaxation mode when you play Caribbean..
Firestarter is a new 25 payline slot machine developed by Novomatic. rr Novomatic wants to bring you down into the underworld toÂ play Firestarter free slot. You are introduced to two devils trying to make.. This is a 20 payline slot machine game created by Novomatic. rr The beauty of a tropical island, exotic culture, and lots of shiny coins to win - these are the things you can enjoy in online Flame..
Katana is a 20 payline online slot machine from Novomatic. rr Set in the scenery of Ancient Japan, Katana slot is a Samurai-themed video game with 5 reels and 20 pay lines that both offered for free.. This is a new 20 payline slot machine developed by Novomatic. rr The Pharaohs Ring slot machine game is another casino machine from Novomatic vendor. It has 5 reels and 20 pay lines. The theme is set.. This is a new 20 payline online slot machine from Novomatic. rr The free Quest for Gold slot game is a 5 reel, and 20 pay line game, developed by Novomatic software. The Quest for Gold slot machine..
Royal Dynasty is a new 20 payline slot machine developed by Novomatic. rr The Novomatic now made a simple slot for playing, which offers an incredible generous bonus mode, so it became very popular in a short.. This is a new 20 payline slot machine game created by Novomatic. rr The RumpelÂ WildspinsÂ slot machine game from Novomatic is a modern online video gamble with 5 reels and 20 pay lines. There are 5..
Showgirls is a new 25 payline online slot machine from Novomatic. rr The Showgirls slot machineÂ has been developed by the Novomatic and was released in 2014. 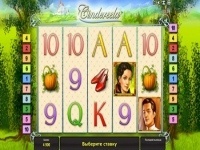 The pokie uses 5 reels, 25Â paylines, with a..
rr Mazooma invites you toÂ playÂ Spinderella free slot, a fun Cinderella-like machine that tells a new kind of fairytale. You are in charge of getting Cinderella ready for the ball and bringing her closer to her Prince.. The Alchemist is a new 20 payline slot machine game created by Novomatic. rr Novomatic is one of those developers that have proved themselves in the past with quality releases, and that tradition continues with.. This is a new 30 payline online slot machine from Novomatic. rr The Wild Rescue free online slot machine is a winter skiing inspired slot game developed by Novomatic. 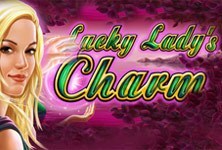 It features soothing music and..
Big Catch is a new 20 payline slot machine developed by Novomatic. rr Developed by Novomatic, this is a 5-reel game that takes you on an underwater adventure. It's a video slot that lets you win up to 500.. This is a new 20 payline slot machine game created by Novomatic. rr Novomatic's Indian Spirit slot game has a strong Nativ American theme. The design is simple, but nicely done. Graphics and details.. Extreme is a new 20 payline online slot machine from Novomatic. rr The Extreme slot game developed by Greentube, Novomatic is a lively machine game that is one of a kind with its unique gameplay and.. 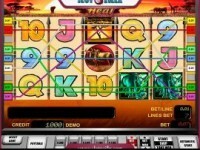 This is a 9 payline slot machine developed by Novomatic. rr Command and conquer This exciting new slot machine from Novomatic will delight the history aficionados all around the world. It is..
Queen of Hearts is a 9 payline slot machine game created by Novomatic. rr Romance and roses Queen of Hearts is a rare slot machine marketed towards women or romantically inclined men - just look at the reels of.. This is a 9 payline online slot machine from Novomatic. rr Get ready for some fun! Who doesn't love theme parks and adventure parks? Breathtaking rollercoasters, huge chair swings..
Secret Forest is a 9 payline slot machine developed by Novomatic. rr An enchanted land If you've loved fairy tales as a kid and listened breathlessly to the tales of magic and adventure, you're in for a.. This is a new 10 payline slot machine game created by Novomatic. rr If you're fond of searching countless treasures of South American tribes, then you shouldÂ play Book of Maya free slot. This is a video.. This is a 9 payline slot machine developed by Novomatic. rr Join the heist of the century If spy mysteries are your cup of tea, be sure to check out Diamond Trio - a fun new offering from..
Magic Princess is a 9 payline slot machine game created by Novomatic. rr An enchanting fairytale For those who enjoy fairy tales, magic, and enchanting stories, Novomatic software presents the Magic Princess.. This is a 15 payline online slot machine from Novomatic. rr This is probably one the most famous gambles in Europe. It was released in May 1988 as a game for landline casinos. In the early..
Super Dice is a 5 payline slot machine developed by Novomatic. rr Novomatic invites you to dive into a classic casinosetup. TheÂ Super Dice slot machineÂ goes fast and furious as it draws in the most.. This is a 9 payline slot machine game created by Novomatic. rr Visit the dolphin kingdom Underwater treasures must be among the most popular themes used for slotÂ machines - and for a good reason..
Gryphons Gold is a 25 payline online slot machine from Novomatic. rr Every gamble has its story, and if you like toÂ play free slotsÂ enough, you'll start finding out that some stories are better than.. This is a 5 payline slot machine developed by Novomatic. rr For those who wish to feel the experience of land-based casinos and classic machines, players can play 5 Line Mystery slot machine game..
Dolphins Pearl Deluxe is a 10 payline slot machine game created by Novomatic. rr The underwater and sea themes are the mainstream choices in the world of casino gambling. Ever since the first land-based machines were.. This is a 9 payline online slot machine from Novomatic. rr We guess most of us had the notion to become an astronaut at least at one point in our childhoods. Very few make that dream come true in.. Hot Target is a 9 payline slot machine developed by Novomatic. rr Feeling hot already? If you're a fan of well-executed, modernized classic slot machines - give Hot Target from Novomatic a spin. It hits.. This is a 9 payline slot machine game created by Novomatic. rr If you can't choose between card games and slot machines, you can have them both: King of Cards by Novomatic offers you this unique..
Lord of the Ocean is a new 10 payline online slot machine from Novomatic. rr Based on the Ancient Greek myth about Poseidon, the God of the Sea, Novomatic's free Lord of the Ocean is a 5-reel 10-payline video slot.. This is a 9 payline slot machine developed by Novomatic. rr Visit the underwater kingdom If you love the ocean and wish to find out more about what goes on in its depths, don't waste your money on..
Reel King Potty is a 20 payline slot machine game created by Novomatic. rr The free online Reel King Potty slot machine is a 5 reel, 20 payline game released by Novomatic for Bell Fruit Casino. After the success.. This is a 9 payline online slot machine from Novomatic. rr Find the crown jewels The Royal Treasures slot machine from Novomatic boasts a romantic medieval theme with a treasure-seeking twist.. The popular Novomatic game, Secret Elixir slot machine, holds 5 reels, 10 winning lines, 12 symbols, and many bonus features including the mobile version and special application on Appstore. Alchemists, elixir bottles.. This is a 9 payline slot machine game created by Novomatic. rr A seafaring adventure Sailing the seas is a popular dream - what can be better than feeling the breeze, listening to the sails rippling.. Shooting Stars is a 10 payline online slot machine from Novomatic. rr Shooting Stars slotÂ game is an online video game manufactured by Mazooma software company, available in the format of 5 x 3 reels.. This is a new 25 payline slot machine developed by Novomatic. rr This is one of the most widely played games developed and marketed by Novomatic. ToÂ play Supra Hot free slot, one doesn't have to be a.. The Ming Dynasty is a 9 payline slot machine game created by Novomatic. rr The unforgettable charm of the East The exotic charm of the East inspired the developers at Novomatic software to create The Ming.. This is a 9 payline online slot machine from Novomatic. rr The kingdom of the Ice Queen If you feel like you need a little fairy tale in your life, the Wonderful Flute slot machine from Novomatic..
Beetle Mania is a 9 payline slot machine developed by Novomatic. rr They're wrecking the charts! If you like puns, you're probably already chuckling at the name of the latest Novomatic slot machine -.. This is a 9 payline slot machine game created by Novomatic. rr Meet the mysterious pharaoh Ramses II was one of the greatest Egyptian pharaohs, whose life was shrouded in myths and mysteries. Now you.. The Money Game! is a 9 payline online slot machine from Novomatic. rr Become rich in one spin If there's one theme that will never go out of style in the online casinos, it's money. So, as it's obvious from.. This is a new 1 payline slot machine developed by Novomatic. rr This Novomatic's model was released in April 2013 for the online casinos, both in free and real money versions. The free American Diner..
Bananas Go Bahamas is a 9 payline slot machine game created by Novomatic. rr Where will you go in the summer? No matter what time of year it is, a warm sunny beach somewhere in the tropics always looks like a.. This is a 15 payline online slot machine from Novomatic. rr Where the magic lives The Fairy Land series of slotÂ machines is by far the most popular product of the Novomatic software company. It..
Marko Polo is a 9 payline slot machine developed by Novomatic. rr In the land of riches If you're feeling nostalgic for the slot machines of the old days, those rickety and shiny metal boxes, which.. This is a 9 payline slot machine game created by Novomatic. rr A true classic The time has come to throw aside your boring daily routine and immerse in a magical world, so different from the one we..
Polar Fox is a 9 payline online slot machine from Novomatic. rr The North is waiting The Polar Fox slot, otherwise known as the Arctic Fox, is a beautiful and majestic animal with an abundance of.. This is a 9 payline slot machine developed by Novomatic. rr The magic forest awaits If an adventure-filled trip through a world of fantasy sounds appealing to you, you absolutely need to try the..
Amazing Stars is a 5 payline slot machine game created by Novomatic. rr Free Amazing Stars casino machine is developed in a 3×5 scheme, meaning that there are 5 reels and 3 symbols spinning in each of..